We've made it even quicker to add new team libraries to your paid plan. 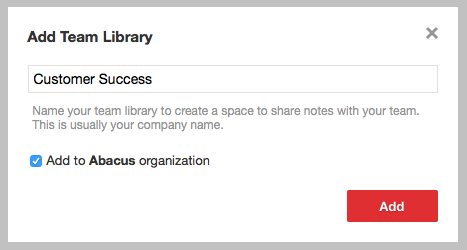 Now directly from the Add Team Library dialog you'll have the option to add the new team library to your organization. This saves you the step of having to subsequently go to Plan Settings and add the library to your organization's plan. This option will only appear for organization admins. Just another way we try to save you every last click!